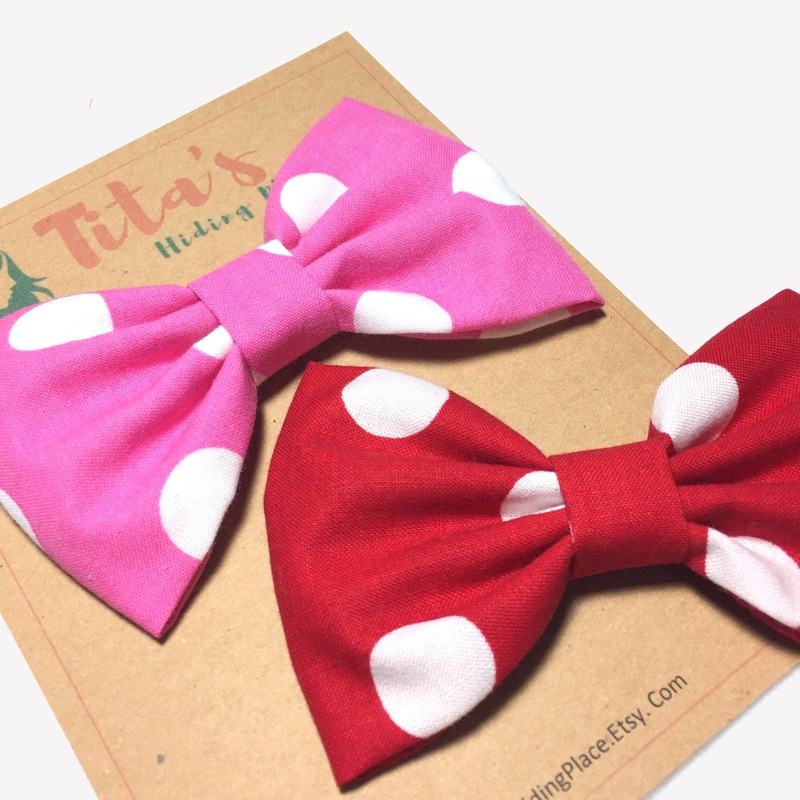 Red Polka Dots hair bow or pink polka dots hair bow, perfect for special occasions or for everyday styles. 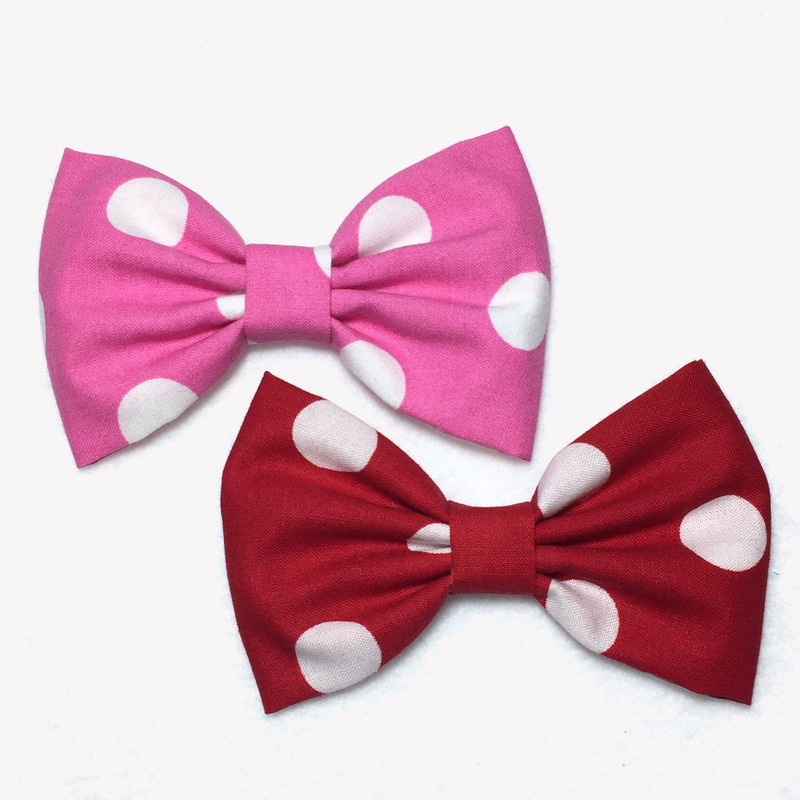 This hair bow is handmade on a red or pink with white polka dots cotton fabric. 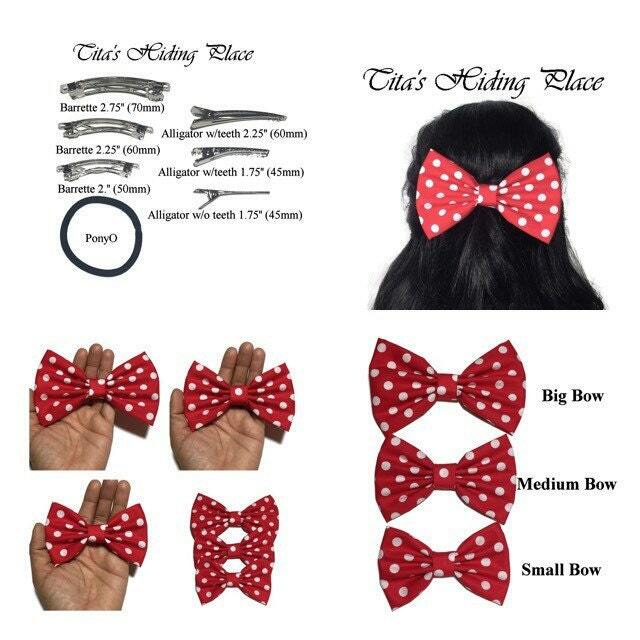 This listing is for one bow, please select your color. 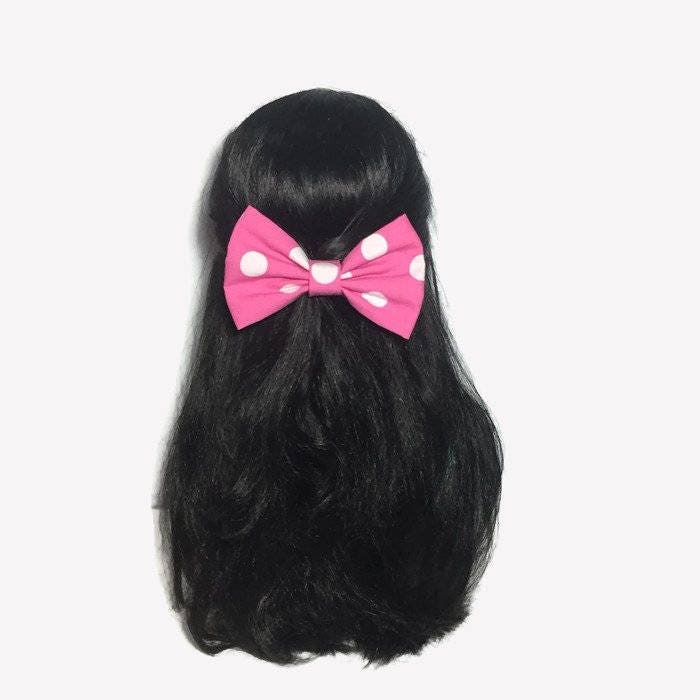 Super cute little bow, we used it as a decoration for Mickey/mini mouse outfit add-on and is adorable in a pony is well. 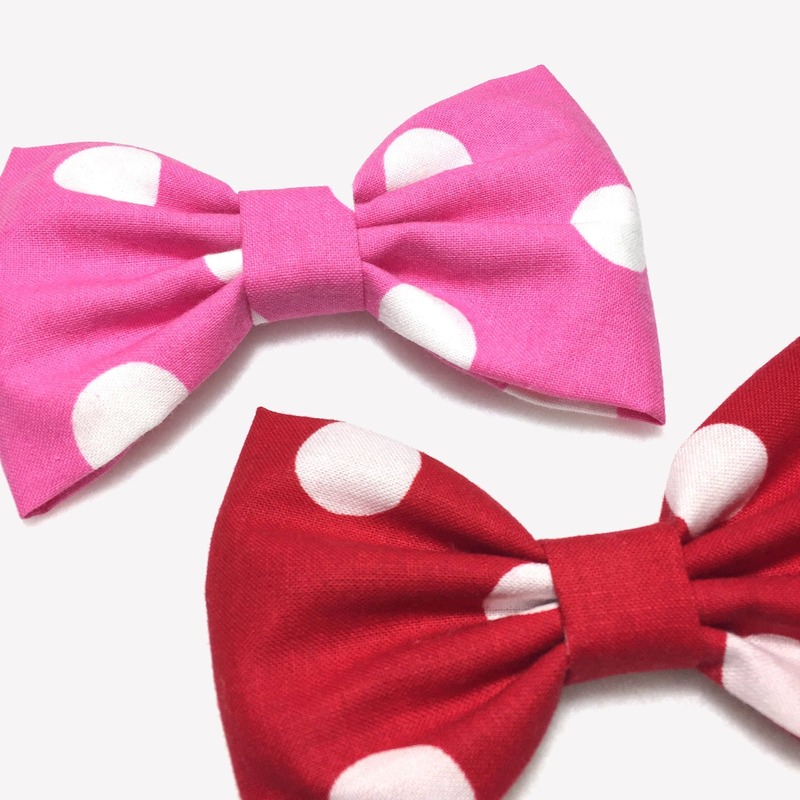 Perfect bows for our Mickey & Minnie and for cute hair after the fact! 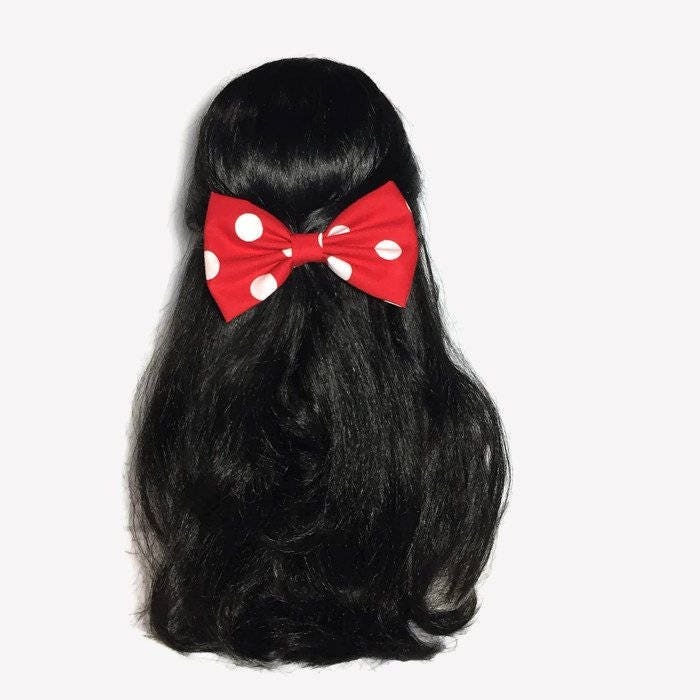 Perfect for my family trip to Disney! 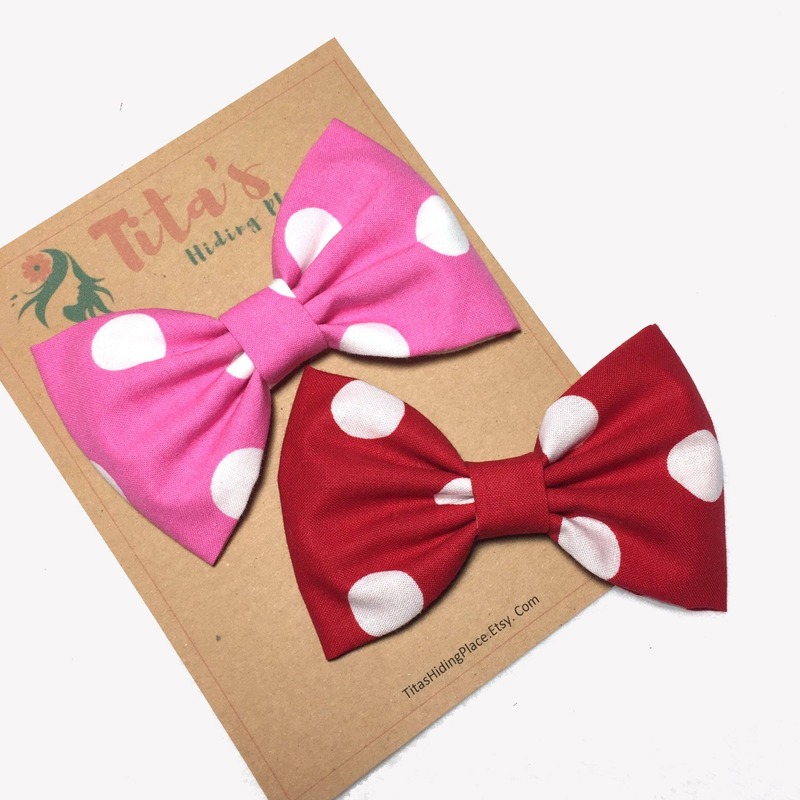 Beautiful, great quality bows! Arrived quickly and will be perfect for a project I'm working on.